The concept of burgers is not something new in Pakistan. For as long as one can remember, we have been enjoying the delicious fast food whenever we desired. From ordering to being served, the entire experience hardly takes time and you leave feeling happy and overjoyed. However back in the 1970s, Pakistan was a very different nation. The culinary world didn’t demand too much innovation. People were happy with the choice of desi food such as Nihari, Biryani and Bun Kebabs. But while Pakistanis seemed content with these, the rest of the world was being introduced to something new. Burgers. Pakistan owes the popularity of burgers to one family alone. The Raza family consisting of nine brothers to be specific. Travelling all over the world, the Raza brothers came across the growing trend of fast food. Impressed with the new variety in food and the quick service it entailed, they set about bringing the notion to Pakistan. One of the brothers approached two international chains McDonald’s and Burger King, with the intention of purchasing a franchise. However he was met with a refusal from both. ‘Pakistan is not ready for burgers’ is what he was told. And that stemmed the urge to prove them wrong. The journey wasn’t easy. With no prior knowledge of how a fast food joint works, the brothers set out to learn as much as they could about the enterprise. They got jobs at the above mentioned international fast food chains and learnt their way up. Once equipped with enough experience, they came back to Pakistan and faced more challenges. Since the idea had never before been implanted, there were no tools and technology required to run a burger joint. The brothers had to start from scratch. But once they did, they were in for a surprise. We as Pakistanis aren’t really open to change. We resist and refuse to accept anything new. So it was very astonishing how much love a new food variant received almost immediately after being introduced. Curiosity might have killed the cat. But in this case however, curiosity introduced Pakistanis to something that revolutionized their eating habits forever. Wanting a break from their everyday food choices, customers flocked to Mr. Burger. Lines circled outside the outlet and waited for the new experience. 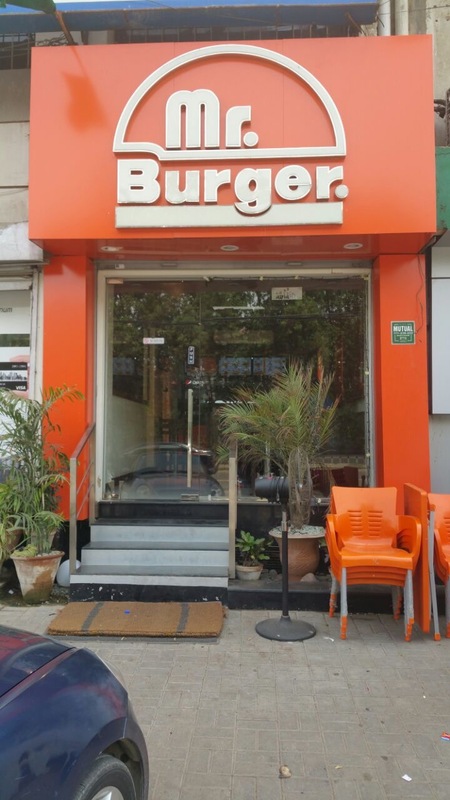 Mr. Burger didn’t just introduce Pakistan to a new food item. They brought in an entire mindset. A culture where everyone was welcome, and had to wait their turn to receive service. The younger generation now had a safe place to hang out away from home. The adults found a quick getaway to enjoy food on the go. Politicians, celebrities, people from all walks of life stopped by to get a taste. As the burger culture became more prevalent a class divide cropped up on the scene. The kind of crowd that frequented Mr. Burger began to be known as ‘Burgers’. This crowd generally comprised of rich kids with lots of time to spare. The term very quickly became a part of the norm. Anyone not falling in that category was labelled a bun kebab – the poor version of a burger. The reason Mr. Burger so easily managed to gel in with the desi food market was simple innovation. The Raza family used their newly acquired knowledge of fast food and combined it with the local palate to create their own version of a burger. Three months it took to make the perfect beef patty with a unique sweet and peppery taste, that while new was still familiar to the locals. They served five kinds of burgers – Mr Burger, Beef Burger, Chicken Burger, Egg Burger and Veggie Burger at very affordable prices ensuring everyone could enjoy. Fast forward a few decades and the majority of Pakistan’s population enjoys having burgers upto three times a week. Not only have many international chains opened up their outlets in the country, but many local joints have cropped up on the scene as well. Mr. Burger somewhat lost its popularity. With so many options to choose from, the joint was unable to keep up. In the mid-2000s owing to the unrest in Karachi, the Raza family had to leave the country. That fuelled the downfall of the food chain. The quality went down, outlets closed and even the most loyal fans began finding other options. However three years ago, the family returned once more to restore Mr. Burger’s former glory. This was achieved with an outlet that opened up in Khyaban e Rahat. Promising the same top notch quality that had made it so popular, the joint welcomed customers old and new and this time lived up to the expectation. 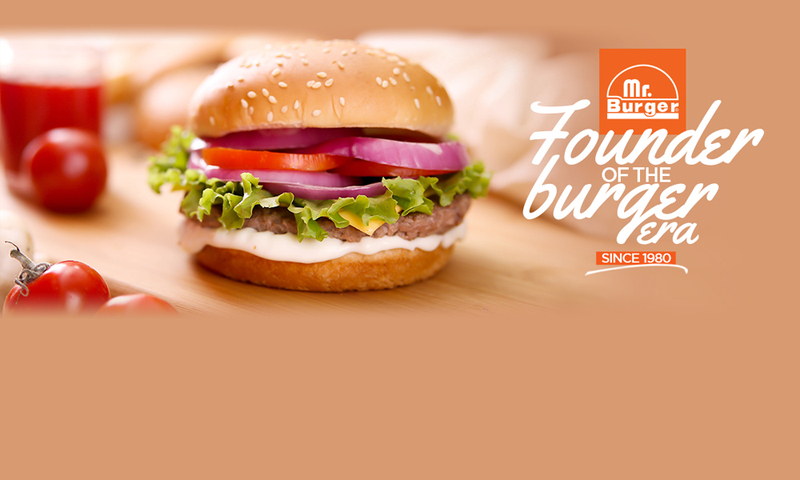 The secret of Mr. Burger’s success lies in its unique flavor. Where burgers today are loaded with too many synthetic flavors and sauces, what makes Mr. Burger the best is its fresh produce and a succulent patty that eliminates the need for anything else. If anyone wants to know what Mr. Burger was like during at its peak they should visit the newly opened outlet on 26th Street. The new outlet is reminiscent of what the joint was when opened but with a modern twist. To cater to the younger generation, new branding has been introduced. Strict quality control ensures that no customer has a reason to complain. Its signature burgers such as Mr. Burger, Mr. Big with egg, Mr. Deluxe are all immensely popular. Serving hundreds of customers daily the chain remains a local favorite. Picture and video credits: blueEx Digital.